Hall Oil Gas and Electric is proud to provide dependable energy products, heating fuel delivery, and HVAC services for your complete comfort. Our top priority is taking care of your home, your business, your families, and your staff. That is why Hall Oil has done business on Cape Cod for nearly 100 years. We would be honored to continue doing so for the next hundred! Hall Oil has been serving the heating and energy needs of Cape Cod residents for generations. We are a true family-owned business that delivers top-quality home heating oil, provides heating and HVAC services, and so much more to keep you comfortable throughout the seasons. 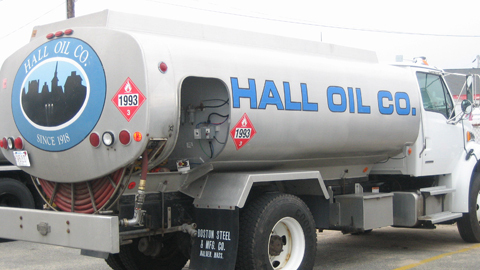 Hall Oil is more than just your home heating oil delivery company. We are full-service energy professionals that offer prompt fuel delivery, energy-efficient HVAC installations, important maintenance services, heating service plans, and more. Whether you want to upgrade your oil boiler, schedule a furnace tune-up, add a generator to your home, or need emergency service in the middle of the night, you can count on us. The Hall Oil team is made up of long-time industry veterans, highly trained technicians, and knowledgeable customer service representatives. We work together to deliver the best possible experience for every customer. Want to learn more about us or request information about our products and services? Give us a call at (508) 398-3831.